Totally Fool Proof Lemon Curd, made with whole eggs, uses a method which yields a very smooth and creamy Curd, without lumps. 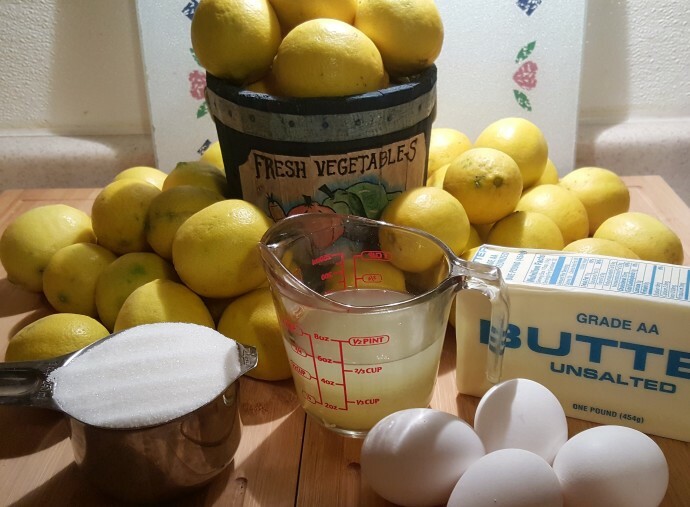 Years ago, I discovered a neat trick to making Lemon Curd using whole eggs that did not leave lumps. It was so easy and I started calling it Fool Proof Lemon Curd Recipe! I like to use Meyer Lemons, but any lemons will be great. You can also make Lime Curd from any kind of lime. Key Lime Curd is fantastically delicious. Curd is delicious on yogurt, scones, muffins. Try a dollop on top of one of my cheesecakes, Meyer Lemon Cheesecake, New York Style Vanilla Bean, Cheesecake, Blackberry Cheesecake, New York Cheesecake, or for a less caloric cheesecake, try one of my Ricotta Cheesecakes, Authentic Italian Ricotta Cheesecake, Lemon Ricotta Cheesecake. Have your ingredients ready before starting as things happen fast. Using a scale to weigh ingredients is the best and most accurate way to measure. I use the Bakers Math Scale. Use a Microplane to zest your lemon. In a Medium Mixing Bowl, beat the butter and sugar with an Electric Hand Mixer, about 2 minutes. 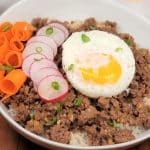 Add the eggs and yolks one at a time. The mixture will be smooth and as soon as the lemon juice goes in, it will look curdled, but don’t fret! Slowly heat the mixture in a Stainless Steel 3 Quart Saucepan. I promise, the curdled appearance will disappear as the butter melts and turn a nice shade of yellow. You’ll need a Candy Thermometer for this as you want to get to 170°F. Keep cooking, stirring constantly, until the mixture thickens. Watch closely as you do not want the mixture to boil! 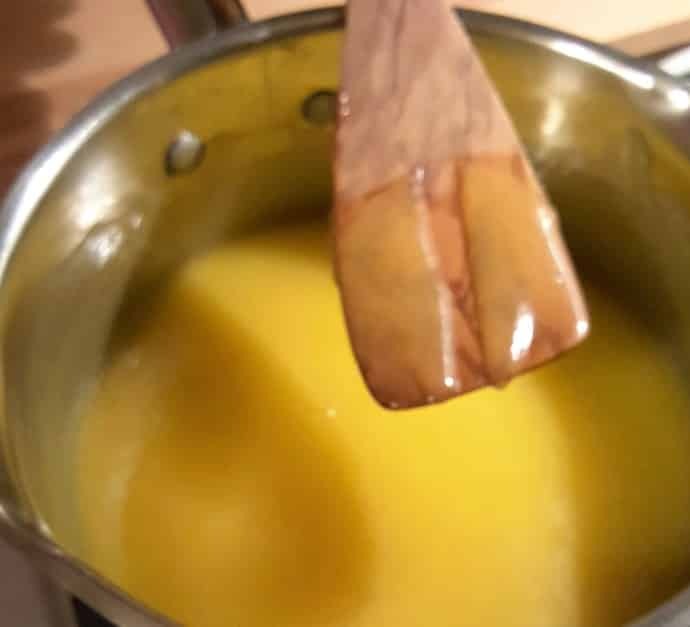 You can tell that your Totally Fool Proof Lemon Curd is cooked to perfection, by dipping in a Spatula and running your finger down the center and it parts, like the Red Sea. Zest goes in last. Remove the curd from the heat; stir in the lemon zest. 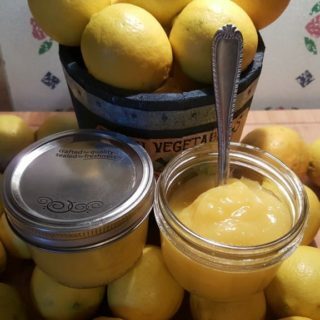 Remember, if you are using Meyer Lemons for your Curd, do not use the Zest; use another kind of lemon, as the thin skin of the Meyer Lemon is quite bitter. Transfer the curd to a bowl. Press plastic wrap on the surface of the lemon curd to keep a skin from forming and put the bowl in the refrigerator to chill. 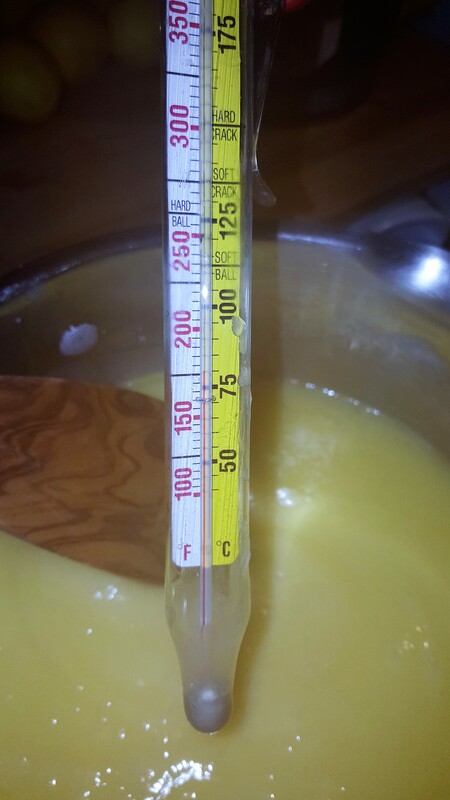 The Totally Fool Proof Lemon Curd will continue to thicken as it cools. Here’s one of my Meyer Lemon trees. Our other one is a Dwarf Meyer Lemon tree. 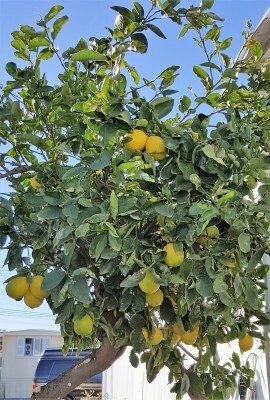 We also have a Eureka Lemon tree, which makes the best lemonade, and gives great zest. 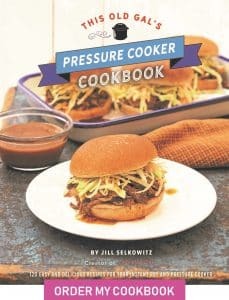 If you would like to try this in the Pressure Cooker, check out my Pressure Cooker Easy Lemon Curd recipe. Slowly add the eggs and yolks. The mixture will look curdled, but it will smooth out as it cooks. Increase the heat to medium and cook, stirring constantly, until the mixture thickens, about 15 minutes. The curd is cooked when it reaches 170°F, but you can see that it's cooked when your finger leaves a clear path on the back of a spoon. Don't let the mixture boil. Remove the curd from the heat; stir in the lemon zest. Transfer the curd to a bowl. The curd will thicken further as it cools. Covered tightly, it will keep in the refrigerator for a week and in the freezer for 2 months. Use a heavy-based, nonreactive saucepan — Stainless steel, anodized aluminum, and enamel all work well. 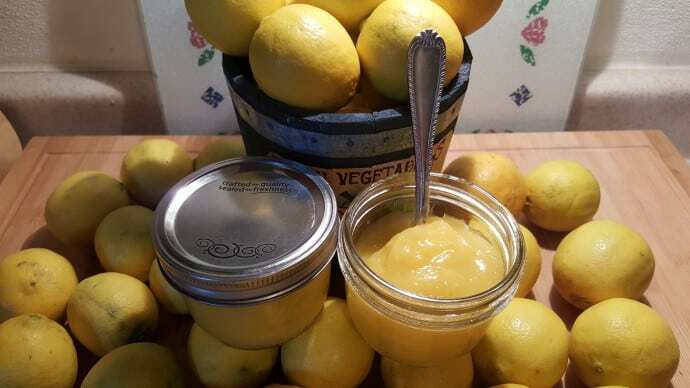 Some materials, such as plain aluminum or unlined copper, will react with the acid in the lemons, discoloring the curd and giving it a metallic flavor. PIN this Totally Fool Proof Lemon Curd! This turns out WONDERFUL ! a dbl. boiler or pour the curd mixture into the heavy bottomed pot or to put the bowl over boiling water “like a dbl. boiler” ? So, since I don’t have a dbl. boiler & I’ve made 4 batches this this. To save myself dishes, I’ll just cream my sugar & butter in the heavy pot THEN finish out the recipe. 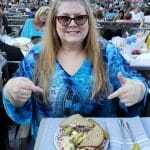 I end up eating it out of the jar by the spoonful’s ! I LOVE IT !!! 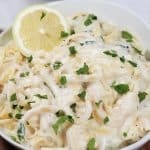 Can you use other citrus for this recipe (ie. grapefruit)? Grapefruit would be wonderful for this recipe. I would reduce the sugar a bit, as grapefruit is not as sour as lemon. I tried your recipe for lemon curd last night because I was gifted about 8 pounds of lemons which I had juiced, and removed the peels to dry. I wanted to try curd another time but last time it was yummy but runny. Drat! I followed your clear instructions and it worked perfectly. Thank you, thank you! Just made this a quarter recipe as i had a bit of butter and a lemon knocking about. Turned out a treat. Might try a different citrus, orange maybe?? Made this for the first time tonight and it turned out fantastic! Can’t wait to try it with my no-boil instant pot yogurt. I do have a question. Do you think it would turn out the same if I used a Trim Healthy Mama/stevia based sweetner? Trying to cut out refined sugar from my diet. Can you can this in the jars to preserve for longer? 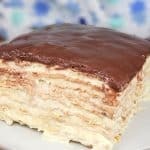 Hello, I was just wondering if you can use Splenda in place of the sugar for this recipe? I would probably use Swerve. I’m going to try that and if it works. I’ll post a picture. 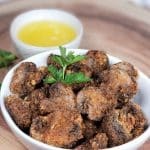 Fantastic recipe!!!!! I had some meyers that I had to pick before a freeze and was wondering what to do with them. This is it! Thank you for having such an easy recipe and it yields a lot more than I figured it would.